Teaching is as critical as any other profession including medical, law or accountancy. Teachers are instrumental in preparing others for those professions. 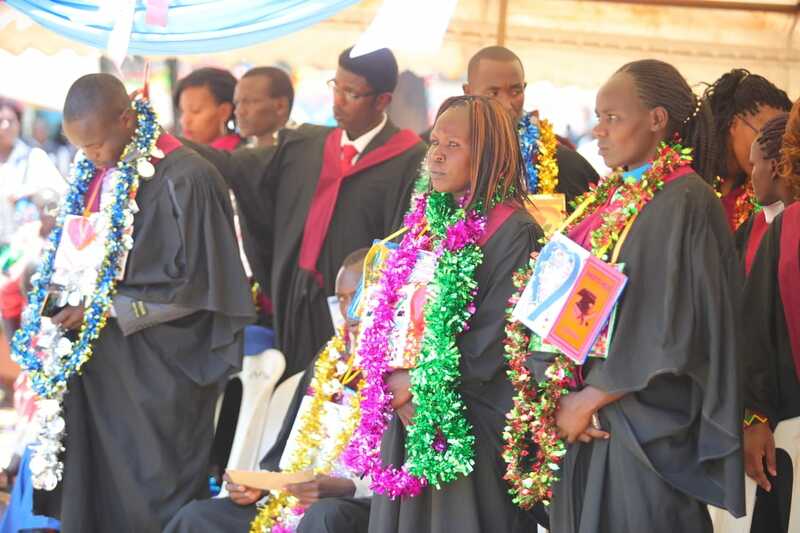 The CECM Education and Vocational Training Valentine Chumo joined students, parents, staff and invited guests of Mosoriot Teachers Training College in marking the 58th graduation ceremony which saw 266 graduands receive P1 and ECDE certificate. Mrs. Miriam Koech who is the Chief Principal revealed that Mosoriot Teachers Training College is one of the oldest institutions in Kenya and has continued to offer good services which has led to production of quality trained teachers all over the country. The Principal disclosed that the Training college offers both P1 and ECDE certificate courses. During her speech, the CECM said that the Department of Education and Vocational Training is more focused on improving and ensuring quality learning environment to pupils by supporting learning institutions and empowering learning institutions like training colleges. She added that recently the County Government of Nandi through the County Public Service Board employed 400 ECDE teachers some of them being graduates of Mosoriot Teachers Training College. The employed teachers have since been deployed to work in different stations across the county. Moi University’s Vice Chancellor Professor Isaac Kosgey who was the Guest of Honour applauded the graduands for continued hard work that has yielded exceptional results. “I would wish to congratulate the Graduands who have worked hard to ensure that they complete their academic programmes successfully. Certainly, their hard work, determination and prayers have finally borne fruits.” he said. Mosoroit Teachers Training College which sits on a 24 acre land with a population of 775 students will be relocated to a new site to pave way for the establishment of Koitalel Samoei University College; a constituent of the University of Nairobi.